There are newly released details surrounding the two Suspects in custody in Sandusky, Michigan for the brutal Sanilac County dairy farm murder that says the pair is inside the country illegally. A man called emergency 911 to say he'd found blood splattered across his residence on Saturday, and that Bricia Flores-Rivera, his girlfriend, was missing from their Flynn Township residence at 3900 Aitken Road. Investigators searched the nearby woods before finally locating and recovering the woman's body in neighboring Buel Township. 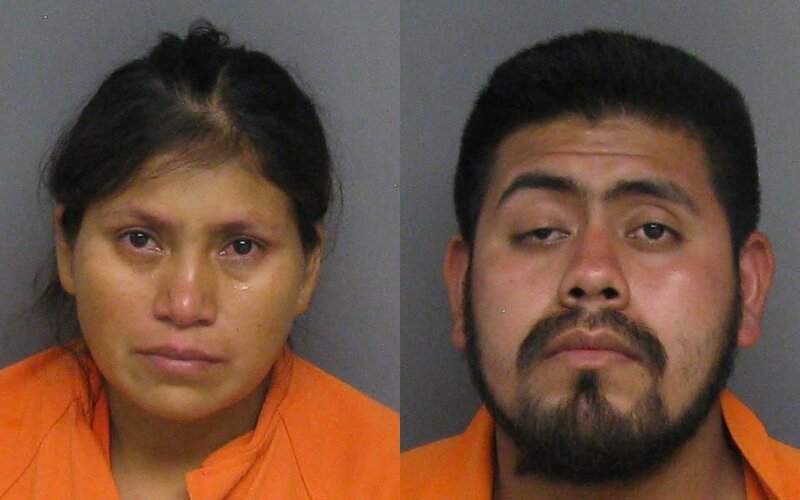 According to the United States of America's Immigration and Customs Enforcement agency, the two suspects are both in the nation illegally from Mexico, and they're brother and sister. 20-year-old Leobardo Torres-Castillo and 33-year-old Francisca Vargas-Castillo are responsible for the murder of 42-year-old Bricia Flores-Rivera, a woman who was found dead in Buel Township late Saturday night. The pair who would be blamed for the murder were the two illegal siblings, both of whom worked with her. Khaalid H. Walls, a spokesperson for the US Immigration and Customs Enforcement Agency, said that after the two stand trial and serve out their sentence, they will be deported. The bloodthirsty duo was arraigned September 3rd in Sanilac County District Court on the charges of open murder and concealing the death of an individual. The charge of open murder contains both first- and second-degree murder and will go before a grand jury after a preliminary hearing. A preliminary hearing is scheduled for September 18th, 2018 at 1:30 PM. Until that time, both of the suspects are being held in Sanilac County Jail on $1,000,000 cash bond. Sanilac County Sheriff's Office gave credit those who assisted in the search effort, including Sanilac Central County Search and Rescue, Sanilac County Sheriff's Posse, Sanilac Central Dispatch, Sanilac County Drug Task Force, Croswell Fire Department, Marlette Fire Department, Croswell Police, Marlette Police, Sandusky Police, Michigan State Police Crime Lab, and the US Customs and Border Patrol. CBP and ICE deportation officers carry out targeted enforcement operations daily nationwide as part of the agency’s ongoing efforts to protect the nation, uphold public safety, and protect the integrity of our immigration laws and border controls. During targeted enforcement operations, CBP and ICE officers frequently encounter other aliens illegally present in the United States. These aliens are evaluated on a case-by-case basis, and, when appropriate, they are arrested by CBP and ICE officers. Once again, President Trump has been proven correct.